Security is one of the first things you need to consider for Winona rentals. Check the gate, door locks, and barrel bolts before moving to one of the Winona apartments. Inspect the security cameras or alarm systems. Including having a security guard protecting the property is another plus. WsYOU/Bluff City Properties has surveillance cameras installed in key locations at our properties. We have separate keys for our buildings, bedrooms, and garages. Several buildings also have a remote-access key entry for better security for our occupants. Compare prices of different Winona rentals. Budget is one of the primary things you have to consider before searching for Winona apartments and other places in Minnesota. Take note that rates for Winona rentals depend on different factors, including facilities, amenities, and location. Homes and apartments for rent offer different amenities, such as study areas, parking lots, HVAC systems, and Internet access to name a few. 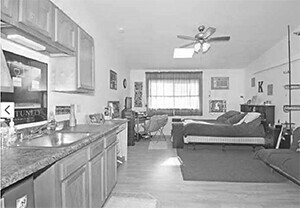 Ask about the Winona rentals’ amenities to help you choose which of them best suits your needs. Clarify with your landlord about possible expenses outside your monthly dues for one of the Winona apartments. For instance, utilities such as electricity, water, and the Internet may not be included in your monthly rent. Think about how you will commute going to or from school before you narrow down your choices of Winona rentals. If you will ride a bike to school, your home should ideally be around a mile away. If you own a car, you can afford to live a few miles away. However, you need to consider the traffic conditions in the area. Observe the volume of traffic at different times of the day. The location of Winona apartments matters. Renting an apartment or house that is near your school can improve your quality of life. Because travel time to and from school would be shorter, you will have more time for other important things. WsYOU/Bluff City Properties’ off-campus apartments are strategically located—nearby grocery stores, restaurants, banks, hospitals, and gas stations. We also have places for rent located near scenic spots, such as Lake Park and Lake Winona in Minnesota. Finding a good place just weeks before the semester starts can be challenging. There may be occupants who already made reservations for better Winona rentals. That is why you should start your search early. Look for Winona rentals months before you intend to move in. Once you have decided on where you want to stay, do not forget to reserve your unit at Winona rentals. You will spend hours studying in your house. Preparing for your exam or term paper is already challenging. Things may get tougher if the Winona rentals have a noisy neighborhood. Sometimes, an apartment or home can be quiet during the morning or afternoon but noisy during the evening or on weekends. Take time to visit Winona rentals at different times of the day to compare noise levels. WsYOU/Bluff City Properties can help you with your search for Winona rentals. Compared to college dormitories, Winona rentals offer better peace and quiet. If you choose a house or an apartment unit nearby your school, you have the option to be either on your own or with roommates. Check out our available properties at WsYOU/Bluff City Properties. Many clients trust us when it comes to Winona rentals. To get more information, contact us today. We look forward to serving you.